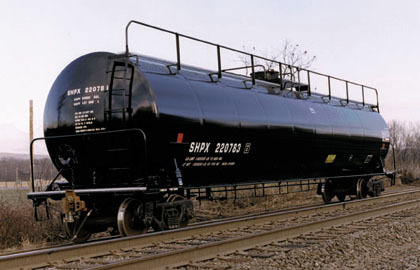 Tank Cars are used for a variety of liquid and liquified gas commodities such as vegetable oils, asphalt, various chemicals, LPGs and petroleum products. 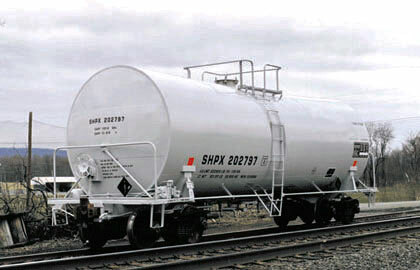 SMBC Rail's tank car specifically designed for the transportation of caustic soda. 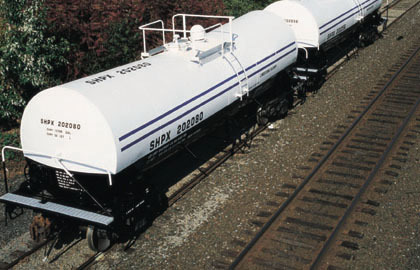 SMBC Rail's tank car specifically designed for the transportation of chlorine. 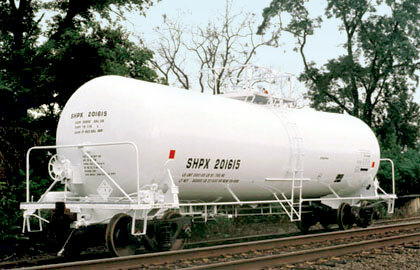 SMBC Rail's tank car specifically designed for the transportation of clay slurry. 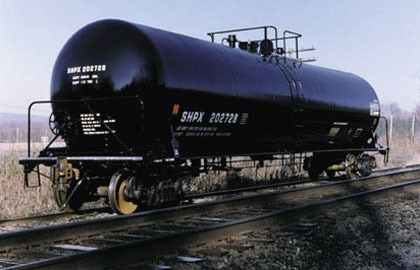 SMBC Rail's tank car specifically designed for the transportation of corn syrup. 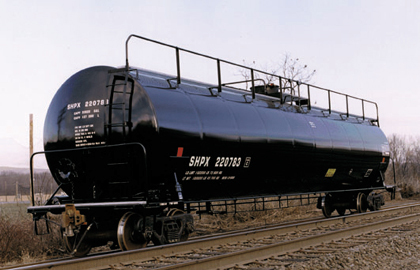 SMBC Rail's tank car specifically designed for the transportation of ethanol and methanol. Hydrogenated vegetable oils, sugars, syrups. Phenol, formaldehyde, rosin, resins, plasticizers. Vegetable oils, sugars, molasses, corn syrup. 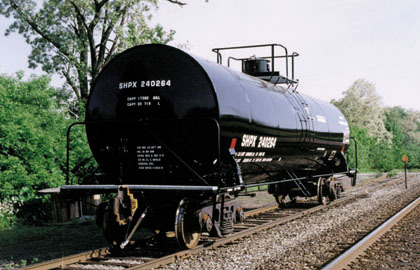 Gasoline, lubricating oils, fuel oil, flammable liquids. SMBC Rail's tank car specifically designed for the transportation of propylene. 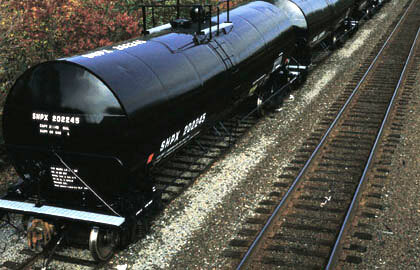 SMBC Rail's tank car specifically designed for the transportation of sulfuric acid. 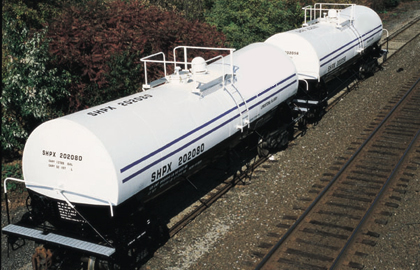 SMBC Rail's tank car specifically designed for the transportation of VCM/LPG gasses.